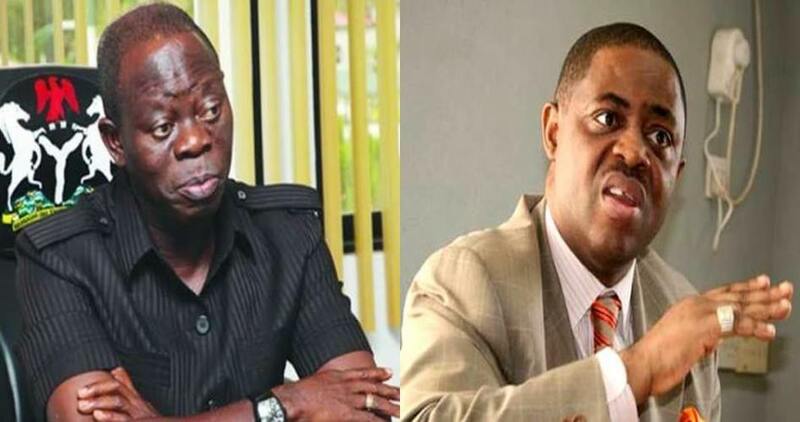 A Former Aviation Minister, Femi Fani-Kayode has reacted to former Edo state governor, Adams Oshiomhole’s statement that if he were President Muhammadu Buhari, he would have arrested ex-President Olusegun Obasanjo. Oshiomhole stated this at an event held in honour of late MKO Abiola’s family. He also urged President Muhammadu Buhari to probe and arrest the former president “if he has committed any offence”. The former president of the Nigeria Labour Congress (NLC) said: “He should be arrested if he has committed any offence. He arrested many of us. So, if we are celebrating Chief Gani Fawehinmi, we have compelling reasons to do so. In all of these, we didn’t pay any money to Gani or Falana. They defended us pro bono. Looking For A Job? 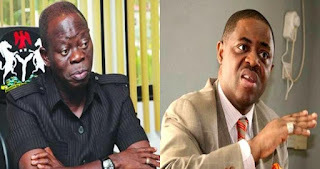 Click Here To Get One According to GistReel, Fani-Kayode who reacted to this statement via his Twitter handle, said he would put Oshiomole in a small monkey cage with a big h*orny chimpanzee, if he was president. See his tweet below; “If I were President I would arrest Obasanjo”- Oshiomole If I were President I would put you in a small monkey cage with a big horny chimpanzee.